Adam Nemett is a relative newcomer to Charlottesville (he and his wife moved here last year), but he’s no stranger to music. “Starting at age three, I’d spend hours lip syncing to Michael Jackson and Bruce Springsteen while fake-strumming a ukulele. I tried playing various instruments—piano, guitar, saxophone and bass—but nothing really stuck,” he says. The instruments may not have stuck, but the music did. In high school, Nemett got into jam bands and improvisational music. He attended his first Phish show in December 1995 and spent the next few years following the band around the country, catching anywhere from 10 to 20 Phish concerts each year. When he arrived at Princeton University in 1999, he discovered that most of the social and music scene there was centered around campus DJs playing “the same tired Top 40 playlist.” Nemett and a couple of friends formed Modern Improvisational Music Appreciation (MIMA) and started organizing concerts on an off campus. Membership grew to about 500 students, and the club brought to Princeton the likes of Willie Nelson, the Disco Biscuits, John Scofield, Antibalas, and a bunch of electronic music raves. By the end of college, Nemett was writing lyrics and “doing spoken-word stuff” for a band while simultaneously trying his hand at filmmaking. His film project focused on the very thing that Nemett claims escapes him: the instrument. It was yet another chance for Nemett to work with talented musicians while exploring his own creative outlets. 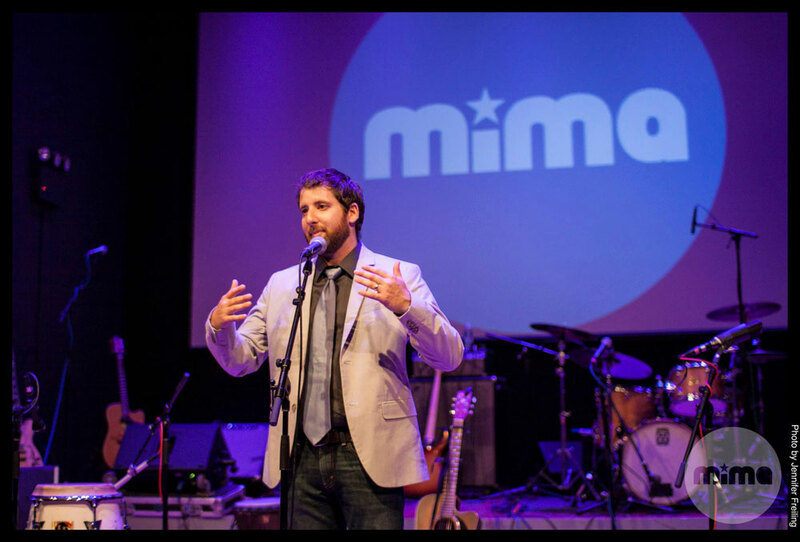 MIMA works with the U.S. Department of State and various embassies to train teachers and launch songwriting workshops in more than 30 countries. (If you attended last year’s TEDx Charlottesville, you might have heard of this.) The organization also produces audio and video recordings of the songs created in the songwriting workshops, and organizes concerts that act as fundraisers to help support the music and media offerings. Nemett served as board chairman of MIMA from 2012 to 2014 and currently serves as a trustee. Nemett has introduced many people to new music, but he considers his most important audience to be his young son. When his son was born, Nemett says that his relationship to music “immediately shifted and became much more direct and personal again, rather than organizational.” He picked up an instrument—the mandolin—about a month before his son was born, and started playing bluegrass once a week with a group of local musicians. Nemett’s son has a lot more listening to do. From the day he and his wife learned that they were having a boy, Nemett has been working on “a massive playlist for Jack called The History of American Music.” It starts, he says, in 1899 and “attempts to cover pretty much all the important songs from the past century or so.” He plans on including about 1,000 songs, and he’s about three quarters of the way through right now. When he’s not being a dad, bringing music to the masses or making playlists (he curates the music for Forage dinners, too), Nemett is writing. Or, he’s at his day job, as an author and creative director for The History Factory. Nemett brings the sonic journey home with a tune from Humble Tripe, who will be playing a show in Nemett’s living room on Dec. 7.